The 2019 Toyota Highlander was designed with every member of your family in mind. From the driver up front to the little passengers in the back, every trip was made to be as enjoyable as possible. It doesn’t matter if you choose gas or hybrid, the 2019 Highlander is dependable, spacious and fuel efficient, and is ready to take you on your next adventure. The 2019 Toyota Highlander doesn’t look like your average family hauler. 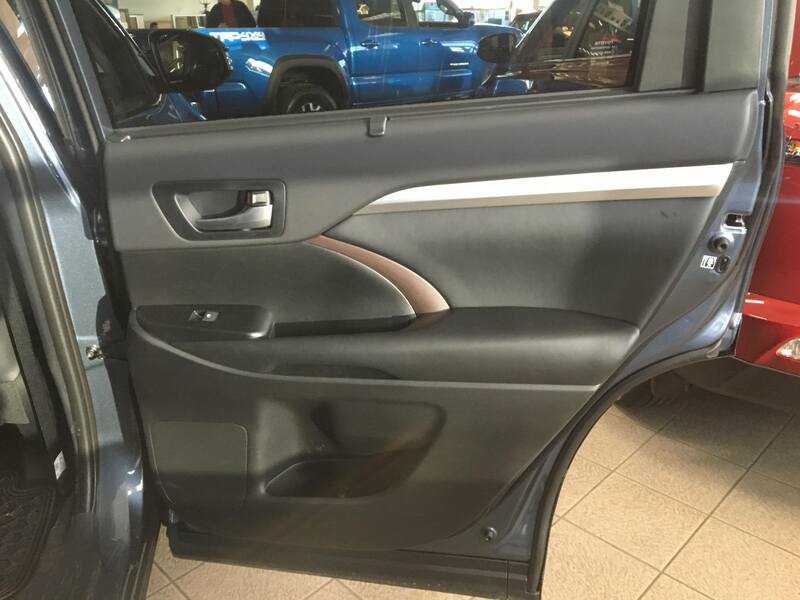 In fact, Toyota designed it to look just the opposite. With an aggressive wide rear stance and edgy front grille, this seven-passenger SUV makes a statement about what a family ride should look like. 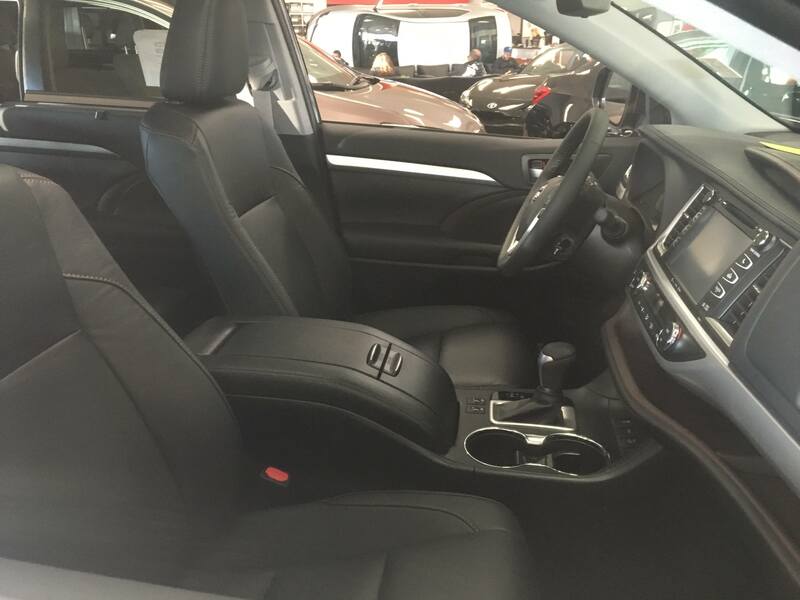 The interior is refined with high-quality materials and soft accents. Searching for something sportier? The Highlander SE AWD brings flair and upgrades to the table. 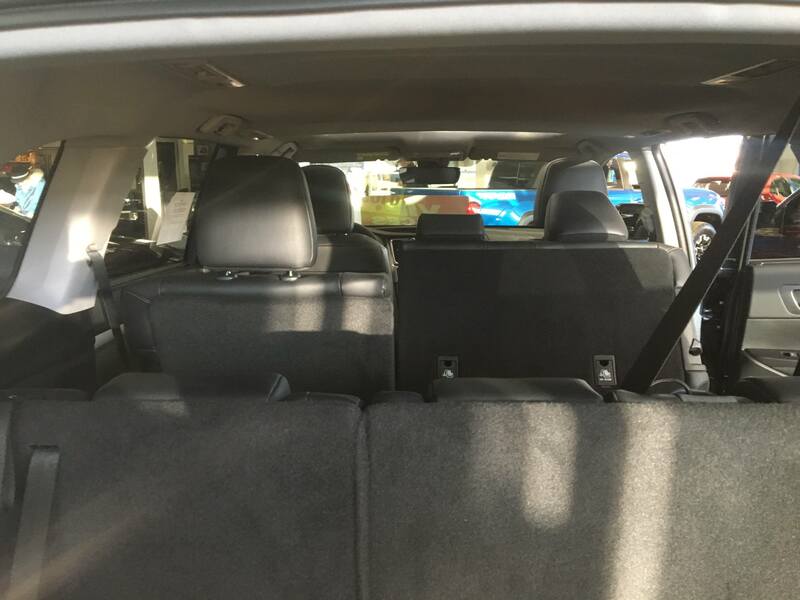 The SE and Limited models have room for seven passengers, but if that’s not enough the Highlander can be made to seat eight. When you fold all teose seats down, you also get 2,300 litres of space. That means you can literally transport whatever you need in the back — hockey bags, groceries, work supplies, etc. The Highlander has an impressive powertrain that delivers big power without sacrificing fuel economy. The 3.5-liter V6 engine delivers 295 hp, with the hybrid system putting out a net power of 306 hp. Meanwhile, the MacPherson strut suspension up front with a double-wishbone type suspension in the rear gives you tight handling and a soft, quiet ride designed with long road trips in mind. Torque-Control AWD system that gives you maximum control on snowy, icy and slushy roads. 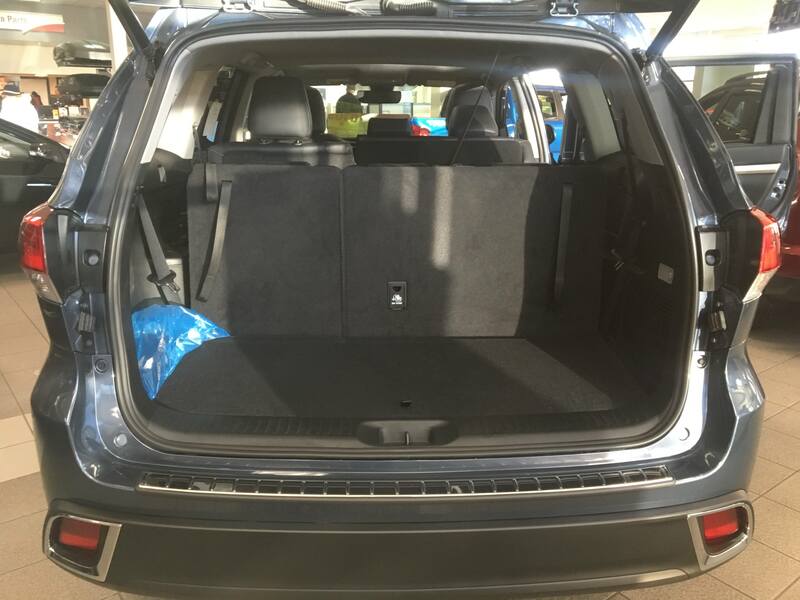 The Highlander Hybrid features an available Electronic On-Demand AWD-i, which automatically switches to all-wheel-drive, utilizing an additional motor to drive the rear wheels when extra traction is needed. 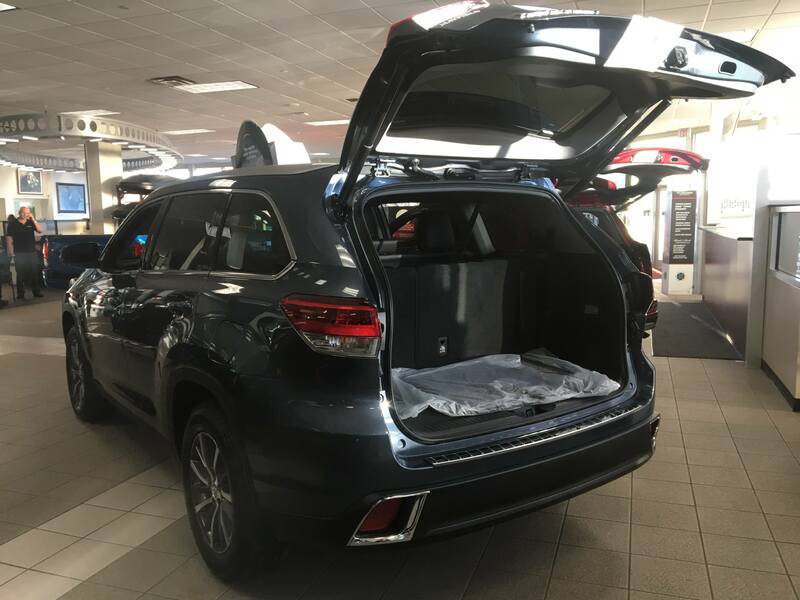 Shopping for a 2019 Highlander in Edmonton? Prioritize space, style, and safety? Drop-in for a test drive today. 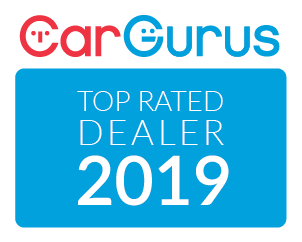 If you find a better deal on a 2019 Highlander somewhere else, we’ll beat it!